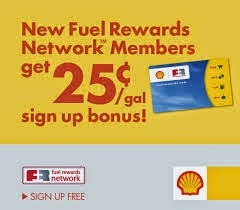 You don’t have to spend a fortune to give a great gift this holiday season. 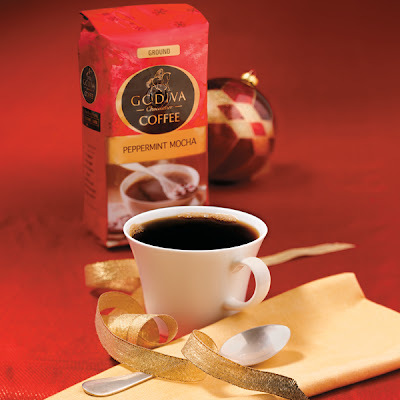 If you have coffee lovers on your holiday list like I do, then I know the perfect luxury, low-cost gift for them - Godiva Coffee. Most of my friends think heaven starts each day with their first cup of coffee. 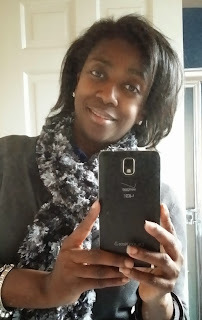 I am a total Godiva Chocolate lover and the very name "Godiva" brings to mind luxury and indulgence at it's best. 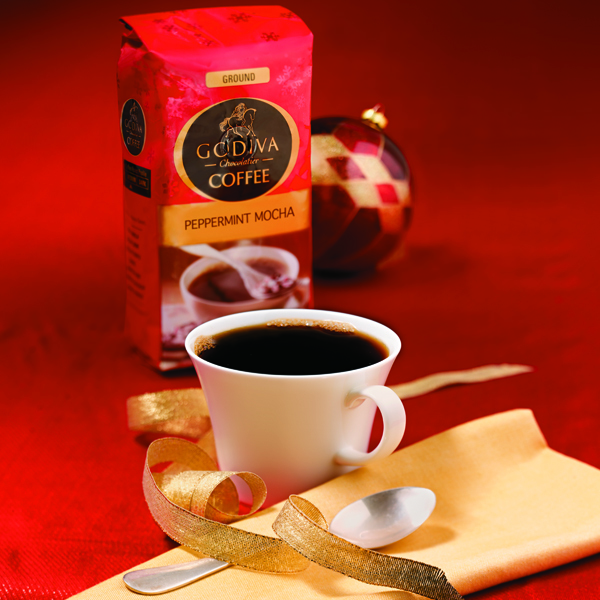 Godiva Coffee is crafted from medium-roasted, 100% Arabica beans. And priced at just under $10, Godiva Coffee is the perfect holiday indulgence. In the spirit of the season, Godiva Coffee is available in seasonal flavors inspired by the famed Chocolatier’s most popular truffles. 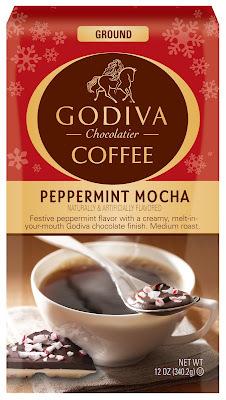 I was sent some Godiva Coffee for review, and I can tell you that anyone would be delighted to receive some of these seasonal Godiva Coffee flavors which include Peppermint Mocha, Pumpkin Spice, and Cinnamon Gingerbread Truffle. Just include a personalize coffee mug or coffee maker and you have the perfect coffee lover's gift for the holidays. 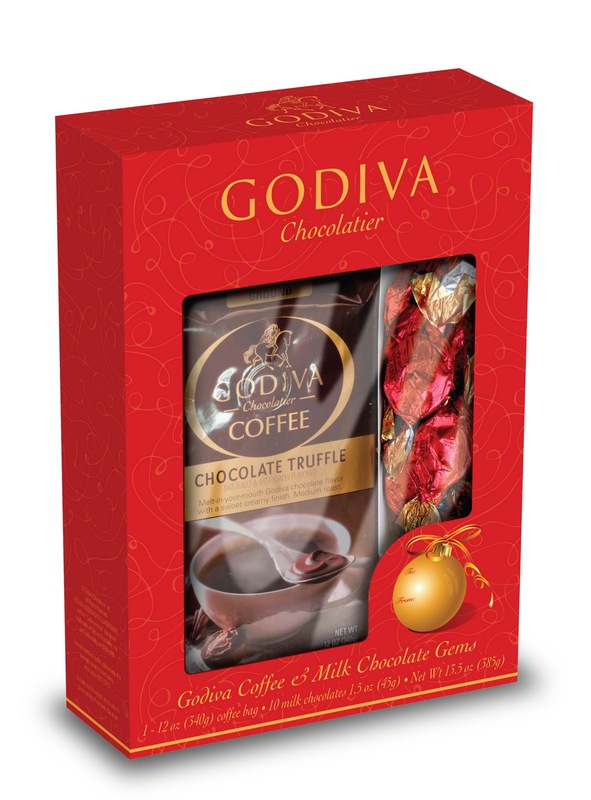 If your gift recipient likes their flavors to be more traditional, Godiva Coffee also is available in the flavors Chocolate Truffle, French Vanilla, Hazelnut Creme, Carmel and Breakfast blend (in both regular and decaf). Godiva Signature Paring - Coffee & Chocolate!!! Godiva Coffee is also available in a set that I know anyone will love for the holidays because this set includes both a 12oz Godiva Coffee and 10 Godiva Milk Chocolate Gems. 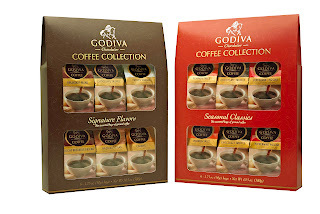 So whether you give a Godiva Coffee collection as a gift or mix and match flavors to create your own one of kind gift, Godiva Coffee lets you give a luxurious gift at an affordable price. 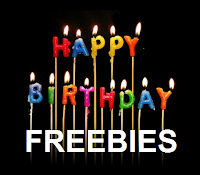 One FREEISMYLIFE reader will receive a Godiva Coffee Gift set which includes Six 2oz. coffee samples and a Godiva Coffee apron and coffee tumbler. HOLLA to the FREE! USA addresses only and NO P.O. BOXES. 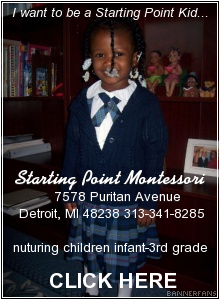 - The contest ends on Wednesday, December 14, 2011 at 11:59am EST. - Prize will be fulfilled to winner by Godiva or their PR company. 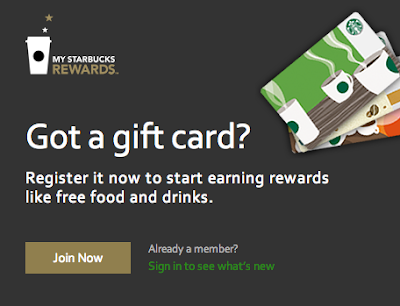 - You can get 1 extra giveaway entry for answering the Coffee question at this link. 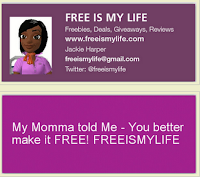 - You can get 1 extra giveaway entry for tweeting the following message on Twitter " I entered the @freeismylife GIVEAWAY to win a Godiva Coffee Holiday Gift Set http://bit.ly/uLOTPP "
Disclosure: I received complementary Godiva Coffee products for review. Godiva or their PR company is supplying the prize for this giveaway. All opinions are my own. Random.org has spoken! Out of 382 entries, Random.org has picked #329. 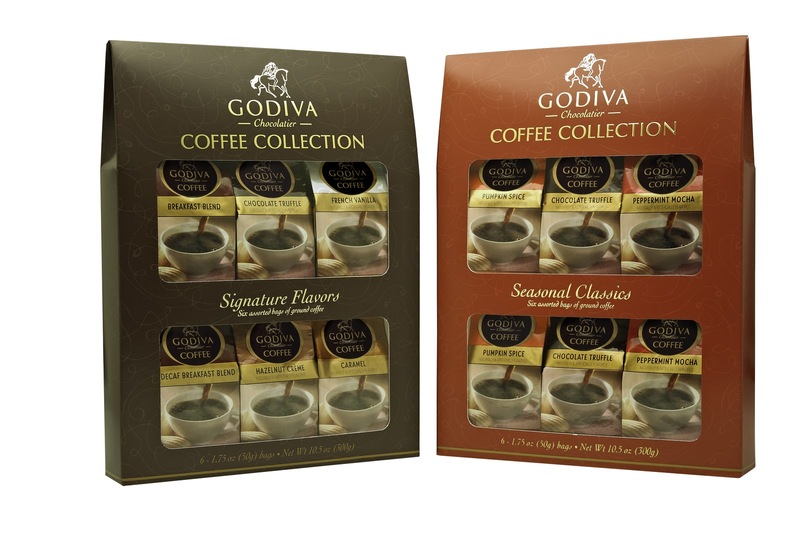 Congratulations to the winner of the Godiva Coffee Gift Set: Sue of Fort Wayne, IN !! !